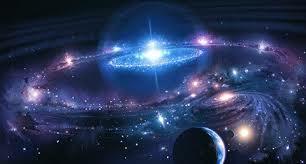 The universe we are in right now that is filled with many, many unanswered mysteries is my reason to believe. There are a lot of things that I can’t prove; such as God, reincarnation, aliens, and the Ultimate Truth. I can’t show you or explain any of these because I don’t know and nobody knows. It’s a mystery that hasn’t been proven up to this date. I mean, why not? Who told you that it is impossible? Do you know who are our neighbors in the universe? Do you know where we are right now? Yes, we are on Earth but where does earth lie? It lies In the Universe that is filled with mysteries that are difficult to answer. Moreover, there are things that are not visible to the naked eye or are beyond human capabilities. So there’s lots of “stuff” that we still don’t understand or know of that could exist. But there is no harm in believing and being a little bit creative. A lot of people I talk to, by default or unconsciously understand it as “I know” instead of ” I believe”. Please, listen to me … I BELIEVE! !